We truly live in a great time. We know that we can download the latest smash hit at midnight of the media-saturated day of release. Also, considering that the birth of video games occurred in modern history, you’d expect that every last tidbit of knowledge is recorded. Especially something as important as release dates, right? Turns out…that’s a big nope. Consider this, dear reader. The Internet existed, but it was not widely used, nor did it contain easily accessible information for pubic use. On top of that, the Internet by today’s standards would be egregiously slow. Video Game Yore’s main goal is to rebuild the timeline of video game releases. While it would seem that in the age of Google, every last shred of information that is conceivably useful or relevant is archived somewhere, right? That is completely false. While Google’s Mission Statement is to organize the world’s information and make it universally accessible and useful, Google doesn’t have access to all of the world’s information, or all human-created data. Truth be told, much research was done with the assistance of Google. Thankfully they archive newspapers; for free! 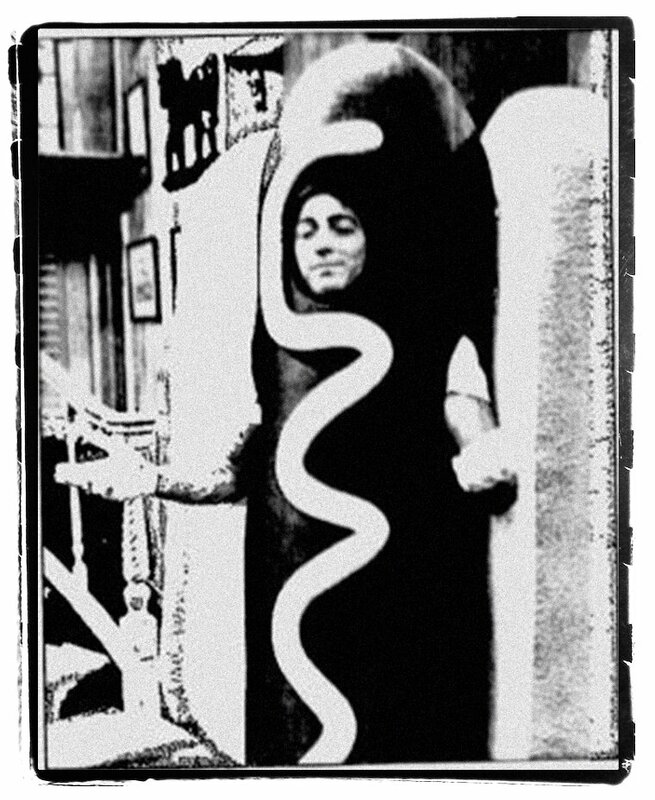 Charles in Charge as a giant hot dog; I know it’s outta context, which is the best sort of context. Alright, my checklist of places to start is the developer or publisher of a game. Thankfully, in the case of Spy Vs. Spy, published by First Star Software, Inc., they are still in business and can be reached for this information! We know from the current state of the video game industry that any publisher or developer can go out of business at any time. This was even truer during the early stages of video gaming’s early past. So (drum-roll), what did First Star have to say? Why wouldn’t the original company have that information? Well, it probably wasn’t super important to keep track of it at the time. 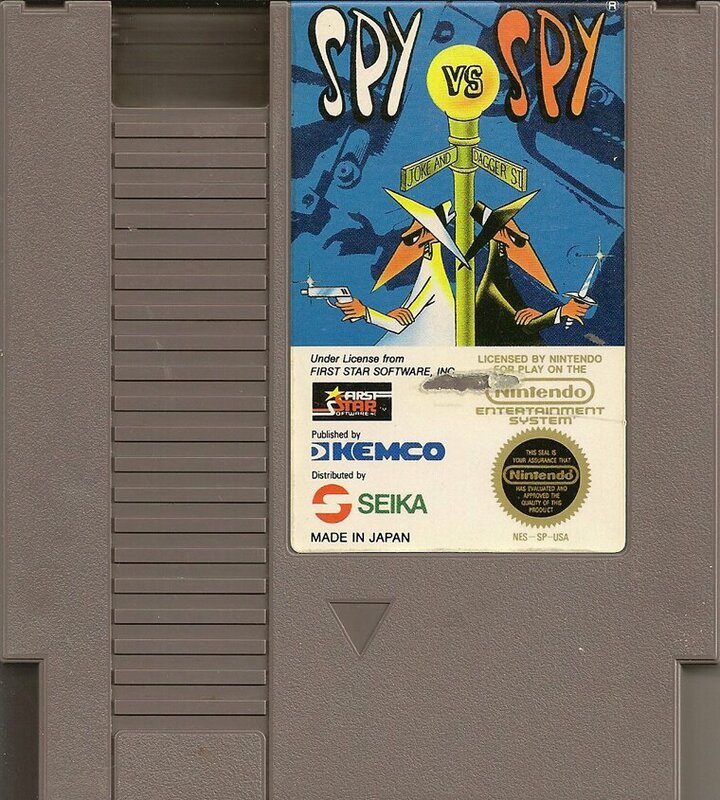 Especially if, in Spy Vs Spy‘s case, the game was ported to the NES and the NES release wasn’t the original release of the game overall. This phenomenon lessens the company’s importance for record keeping. We also forget that many of these companies were small at the time and record keeping was likely to have been minimal. Another fact that is sad but true: we can’t prove when Super Mario Bros. came out! Okay checklist, where do I go next? Oh right… but wait, newspapers? You mean a thing that is well over two decades old, and bio-degrading right now in some landfill? As it turns out, Google is attempting to archive newspapers and can be broken down easily by year and month. However, searching for information proved to be a bit difficult. I found the simplest way was to find a newspaper for the year you desire, and then hope that there was a lot of archived material. 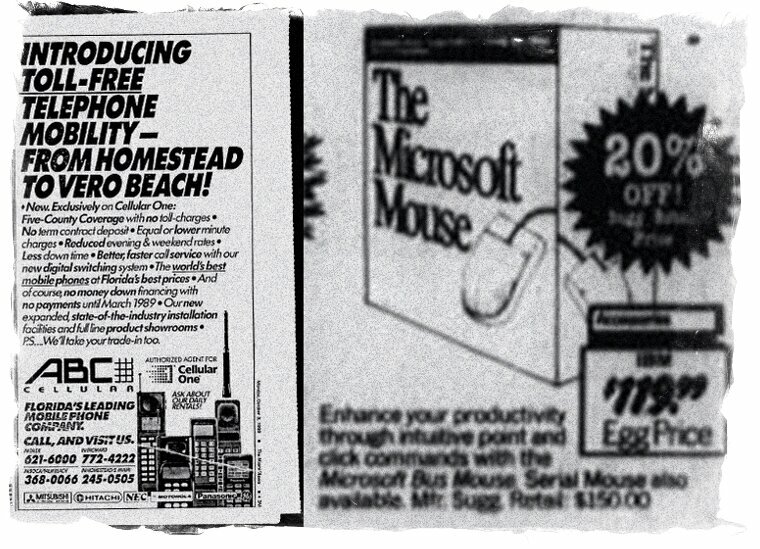 I used The Miami Times archive, as it was fairly extensive (pictured above). I took these screen shots while browsing and luckily, it turns out that I wasn’t just throwing a dart into the dark. 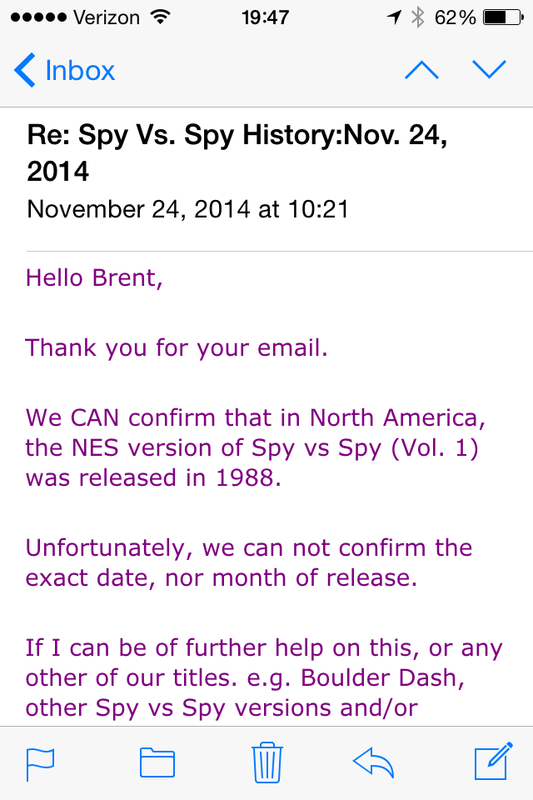 I went in with a reasonable assumption of a possible release date. 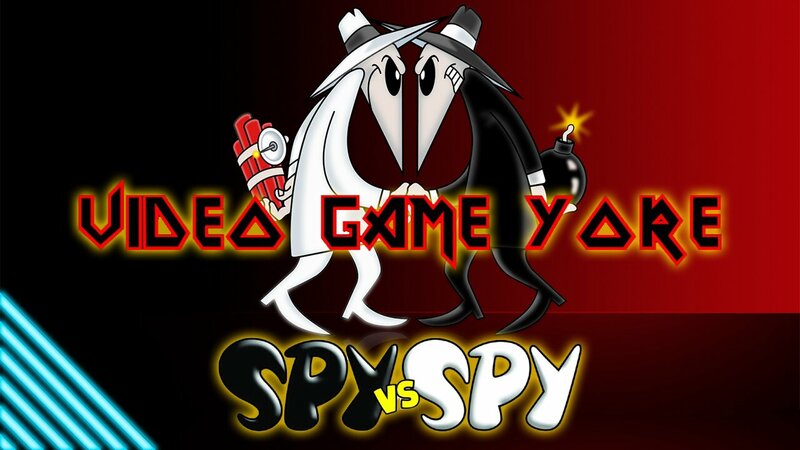 If you do a general search for “Spy Vs Spy NES release”, you’ll likely stumble upon the several big websites, such as IGN, GameSpot, GiantBomb, Moby Gaming, and Wikipedia. They all point to October 1988 as being the month of release. These sites do deserve some weight in the industry because of their caliber, such as money invested and hard-working people employed by the sites. However, consider that perhaps the website programmers defaulted to Oct 1 (or the 31st) in the absence of a specified day. Let’s be honest, if there is a shortcut on the Internet, it is used, consequences be damned. In this case, something as innocuous as a “default day” for a website can muddy the waters of when a game may have been truly released. So, back to the newspaper archive. It didn’t reveal too much, as I scrutinized the October 1988 archive of the Miami Times for any sliver of video game information, and nothing of relevance was found. I did not feel it was necessary to scour another newspaper archive, as game releases were not the norm during this decade. The newspaper archive proved to be sort of a dead end. Still, marketing had to let people know that a video game existed, even at that time. Oh yeah – Nintendo Power! So I found that the lovely people of Retromags.com have a plethora of vintage video games publications, and the one that I was searching for: Nintendo Power. So after viewing the original September/October issue, I found in the November/December issue an article about Spy Vs. Spy and Spy Vs. Spy: The Island Caper. This article is fairly ambiguous as to when or if the game(s) had already released. As in modern times, the release dates are speculative at best. The writers at the time were most likely intentionally ambiguous when writing the article due to not knowing when the game would truly release and writing an article possibly several months in advance. 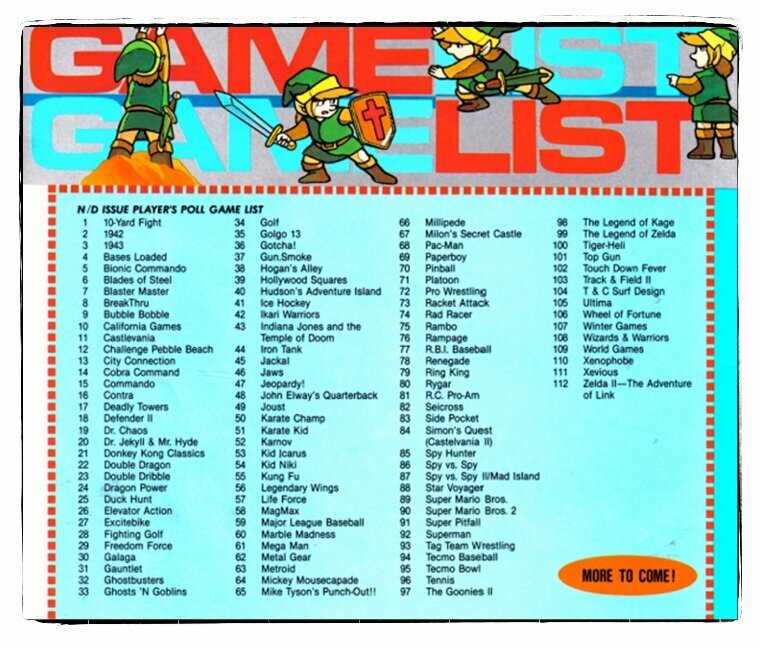 While flipping between the two files, I discovered one point of interest: the “Games List” poll, which from what I can tell, was spearheaded by Nintendo themselves. 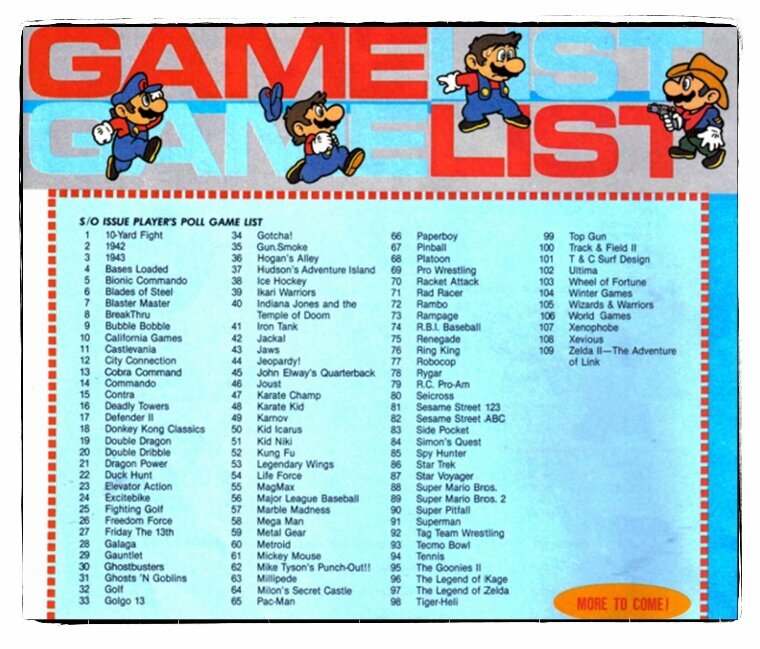 It asked its subscribers to rank all Nintendo games from 1 to whatever (again I’m assuming all) at the time of publication. One would need to assume that in order to rank the game, you’d need to be able to play it, thus meaning that it was publicly available at the time the magazine went to print. Between September 1st 1988 and October 31st 1988. If you have proof of the contrary, please submit your evidence in the comments. 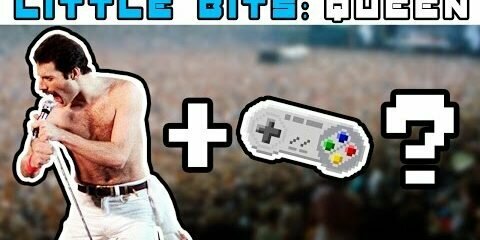 This is the first of several investigations into answering the question: When Did This Vintage Videogame Release? Do you have a game you’d like investigated? Let us also know in the comments!